Metro changed plan due to the presence of a high-pressure Bengaluru-Mangaluru petroleum pipeline passing through the originally proposed route. BENGALURU: The Metro line proposed from Nagawara to Kempegowda International Airport (KIA) is likely to be realigned to run through Hebbal. 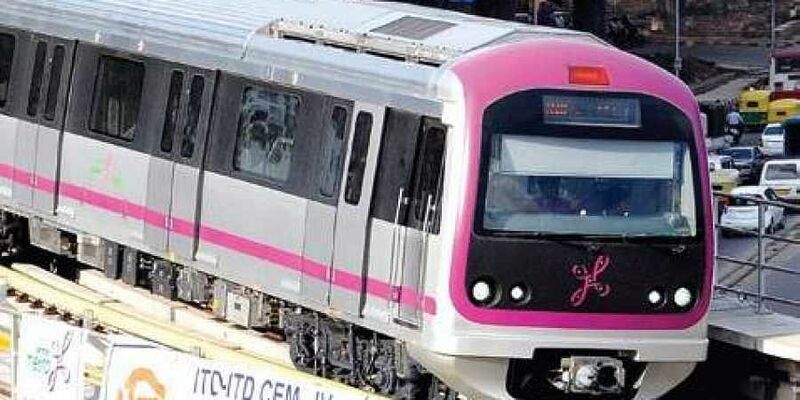 The realignment is being considered by the state as well as Bangalore Metro Rail Corporation Limited (BMRCL) due to the presence of a high-pressure Bengaluru-Mangaluru petroleum pipeline passing through the originally proposed route, thereby ruling out any construction activity in its vicinity, said highly placed sources. As per the original Detailed Project Report of the Phase-2B Metro line, the 29.62-km line was to begin at Nagawara, head to RK Hedge Nagar via Thanisandra Main Road. It was to then turn left to Jakkur Flying School and take the Ballari Main Road to terminate at the airport. The Rs 5,950-crore line was approved by the state cabinet on December 11, 2017, and was slated have six stations — R K Hegde Nagar, Jakkur, Yelahanka (Kogilu Cross) and Chikkajala apart from two stations inside KIA. The 21.25-km Gottigere-Nagawara line (red line), which has the longest underground corridor of Phase-II, will connect with the airport line when ready. “The new proposal suggests taking the line directly from Nagawara station via Outer Ring Road to Hebbal and then taking Ballari Main Road right up to Jakkur Flying School. From there, the alignment will remain the same as the original plan,” said a source. Why cant they go with Nagwara-Hennur Road - airport road metro line distance is also same and more easier for construction because less vehicles use this road to reach airport. Also already we have Airport buses and other vehicles connecting Hebbal with Airport so BMRCL can think about connecting Hennur road to Airport. The line to Nagwara is from Shivajinagar. The change will make the route circuitious and will discourage air passengers. The most logical and convenient route is through Hegdenagar. There are multiple ways to reach the metro line from Hebbal. The change in route is just favors friends of politicians. I don't think the pipeline is the problem, its the authorities that have a problem with the sudden change after a year ???? its very clear, there is a gain from hebbal to the concerned people and its not about the pipelines. That’s a sensible decision. Even other wise the Bellary Road being the major artery road connecting North - South Bangalore with very high volume of traffic & commuters is long overdue to have metro connectivity and was denied of the same all these years. Hope it gets through.???? Was the pipeline found last week? Metro lines via Hebbal is need of the hour considering the traffic pile up at Hebbal flyover everyday. Hebbal can be a Traffic hub in case Metro passes thru that. Hebbal real estate guys around that area are very powerful.. suddenly the prices fell and they must have formed a group and now this is the result.. they have achieved their target.. Hegde nagar folks are not so powerful and hence the result.. Every place should have balanced development.. everything under the sky should not be in only one place.. The new MD is totally corrupted.. nothing can be done!! there are so many stations that have been constructed around bangalore.. and MD never thought of gas line.. now suddenly it became a hurdle.. thats because hebbal real estate people hefty money for this 'gas' idea.. Very good idea. Safety cannot be compromised. Also needs a metro station. Not convinced with the explanation. The Thanisandra Road is already so congested... looks like a political gimmick again. The gas pipeline is just an excuse. The actual reason is corruption. People around hebbal and sahakar nagar are loosing real estate price and hence this story. Pradeep Singh Kharola was real good person. The new GM is totally corrupt. Corruption at its core.. there is no gas pipeline at all...total mess.. Bangalore Metro is just a mess.. the hebbal flyover is already conjusted.. this will make a hell out near hebbal..
"vested interests" is the real reason for change in line..! !